Kazem Abdullah was growing up in the Midwest when he chose not one, but two instruments, piano and clarinet. He studied at the Cincinnati Conservatory of Music, and eventually landed a fellowship with Michael Tilson Thomas and the New World Symphony in Miami. That's when Michael Tilson Thomas challenged him, encouraging him to put down his clarinet and pick up the baton. "When I was playing in the orchestra, and I had done a few small projects with some of my colleagues, and I recorded them and showed them to him, and he viewed the video. And, we had a very short conversation, I think I was 22 or 23 at the time, and he said, 'Well, Kazem, it's clear that you can do this, so why aren't you doing it?'" 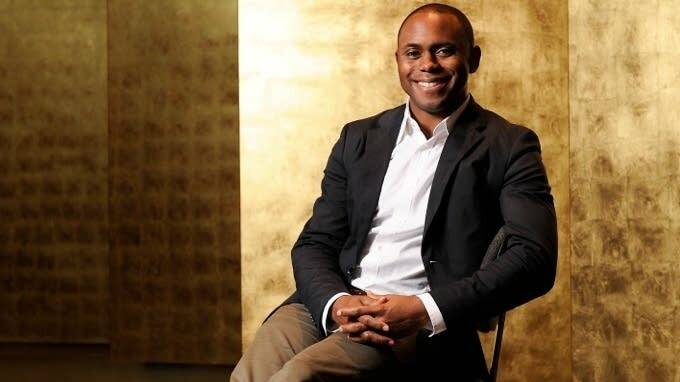 From there Kazem Abdullah went on to study at the Los Angeles Opera, Tanglewood, and the Metropolitan Opera. Where he really got to spread his wings conducting both opera and symphonic music was in Germany where he spent five years leading the Sinfonieorchester Aachen. 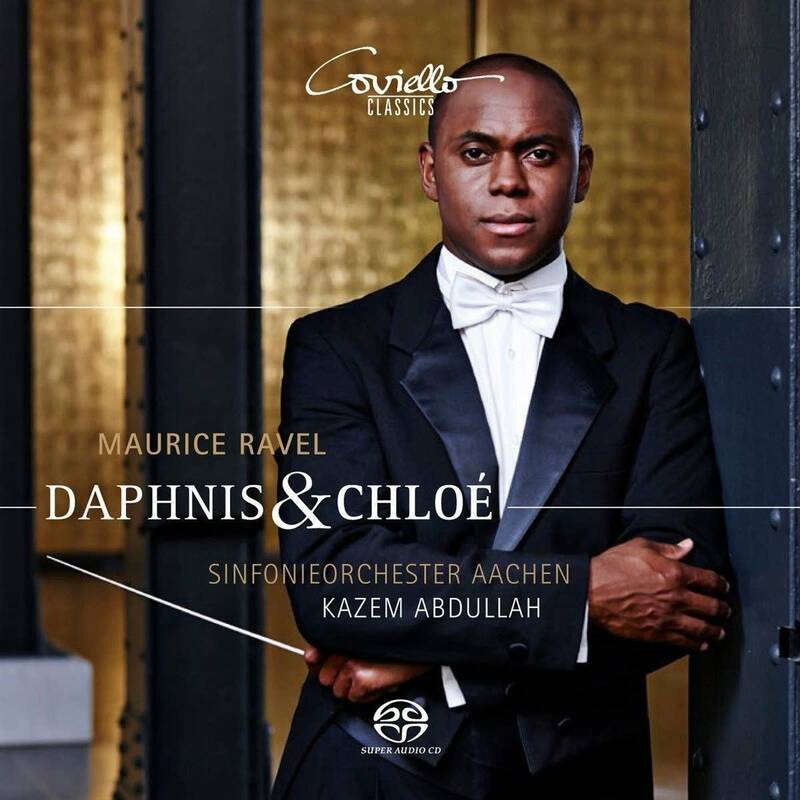 Before completing his tenure with that ensemble, they released a new recording of Maurice Ravel's complete ballet, Daphnis and Chloe. So why did you want to record this ballet, Daphnis and Chloe, by Ravel? "The recording is actually made from two live concerts. Every other year there's a Chorbiennale in Aachen. They invite choruses from all over the world to take part in this Chorbiennale. And that year we had a guest choir from the Ukraine and then a guest choir from Utah. And so they complemented the choirs from Aachen and we did this piece Daphnis and Chloe. The way they ended up coming together and blending, I thought it was very impressive." What role does the chorus play in this ballet? "When I was studying it, one gets the feeling you know Ravel was trying to evoke a time before maybe there was real speech. You know what I mean? Before there was real language, or early people communicating with just their eyes and their facial expressions and their body movements which is what ballet is, so for Ravel to have a wordless chorus sort of speaks volumes because it gives emphasis to certain feelings. "There are a couple of conflicts between groups of people and between individuals, and often those are supported by barbaric grunts and chants. "And then there are moments where the chorus gives a feeling and an aura of a halo of love. I mean there's one spot in the score where he writes, 'Daphnis and Chloe they look at each other and lock eyes,' and the chorus just releases this wonderful warm glowing, 'Ah,' and it's just there's no words but in the expression actually of the music so much is kind of expressed about this connection and love between these two people that have just locked eyes." You once said that it's important to play as if the composer him or herself was sitting in the audience. If Ravel was in the room when you were performing this ballet, what do you hope he'd say about this interpretation that you have? "I would hope that he would think that the way I've interpreted tells the story, and also that hopefully my interpretation brings a deeper unconscious understanding of human love and conflict. I hope that he would like it!"